Your home is a sacred place, and we take the job of decorating it seriously. Each of our employees has the utmost respect for your house and pride in their work, and we make that show every step of the way. See what some of our previous customers have to say about the Mike’s Kitchen and Bath experience. Your Kitchen is the heart of your home: where you gather with friends, cook your meals and spend time with family. 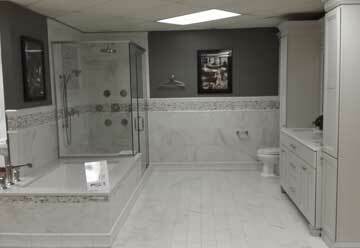 From cabinets to faucets to countertops and more: Mike’s has you covered. We offer high quality design and installation services which allow you to customize your dream kitchen. Our experts will combine functionality with beauty to create a space that fits your every want and need, all while staying within your budget. 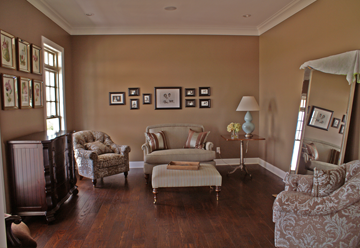 A hard surface encompasses any type of flooring that does not come in a roll, including tile and hardwood. We offer a plethora of different choices and will help evaluate your wants and your needs to help find a hard surface flooring that matches your personal style and your lifestyle. We offer the highest quality hard surfaces at a fair price. 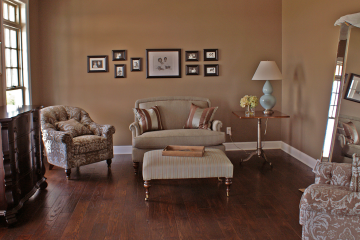 Whether it is ceramic, laminate, hardwood or luxury vinyl tile, we will find the one that best accommodates you and your family. Bathrooms allow for a lot of flexibility when it comes to building and renovation. From style and luxury, to function and safety, Mike’s has everything you need to create your perfect bathroom. We offer luxury features such as whirl pools, walk in showers, body spray and rain heads, but we also offer functional safety features such as grab bars and handicap accessible showers. Although a bathroom is a small room, it can have a large impact on your home. Master bathrooms, especially, have become like a home spa or your own private get-away. From the first design idea, to the last tile installation: Mike’s will be there for every step of the process, making your perfect bathroom a reality. 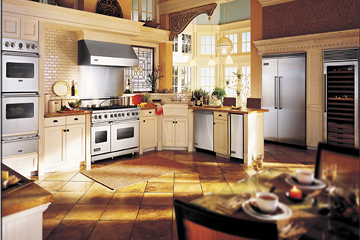 We even offer top of the line appliances to add the perfect touch to your brand new kitchen. An intellectual styling and master craftsmanship separate our Pro Appliances from the competition. Our global selection appeals to professional chefs and to the most insightful culinary connoisseur. A picture is worth a thousand words. A fireplace, traditionally designed to offer supplemental heat in a home, now offers ambiance, elegance and style as well. 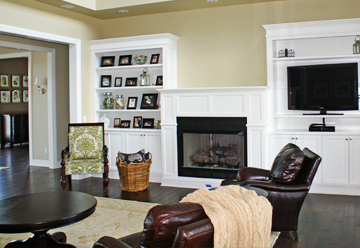 Mike’s Kitchen and Bath specializes in hearth products, and can help you choose a fireplace that is perfect for your home and your needs. We will help you understand the pros and cons of wood burning, gas or electric fireplaces, as well as other specific features such as venting options and style. Granite comes from all over the world: every location offering its own unique pattern and color. 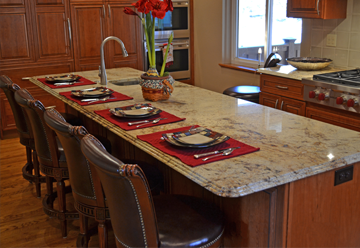 Mike’s Kitchen and Bath was the first retailer to bring Granite to the area in 1996 and has done well over 400 installations since. We work closely with the slab yards in the area, which allows our customers to hand pick the granite they want in their home. 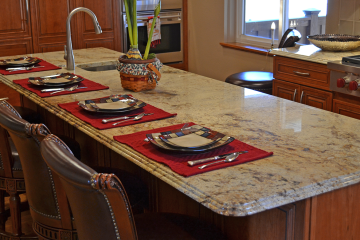 Granite is extremely durable and can spice up many different spaces within your home, including kitchens, bathrooms, tabletops and floors among other things.